Nia - pronounced "knee-ah" is a mind/body exercise program set to uplifting music. Nia is a low impact exercise class. and stress relief found in yoga, the muscle toning for hips & arms from martial art punches and kicks, and the flexibility and freedom of dance. 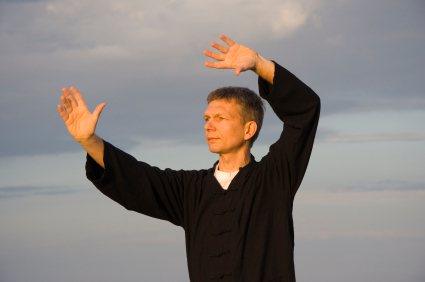 Take time to catch your breath, get a drink of water, or engage in meditative stretches. Each Nia class is one hour with "breather" breaks in between. Nia is gentle on the knees. Learn to move your body and get a cardio workout without pounding on your knees and feet. nourish the joints rather than pummel them. The Music in Nia fosters a meditative state. Tired of group exercises that blast techno music? You won’t find that with a Nia class. With a touch of world music and a smattering of songs you may know and love; each movement is choreographed with the music to give both your body and your mind a work out in a way that will reduce stress and rejuvenate you. We do not wear shoes in Nia. The founders of Nia believe that we can increase our awareness and connection with our environment by kicking off our shoes. The soles of our feet have 7,000 nerve endings which communicate to us. We use our feet to increase our awareness of our present state. Practicing Nia in bare feet also strengthens the muscles in your toes, arches, and ankles. Many people with feet problems and pain have found that Nia restores function in their feet, making it easier for them to walk around. If you are reluctant to take your shoes off, then please bring non-slip socks that have rubber soles. "I thought the music was great and fit the different moves taught. The group was fun, relaxed and motivating." *We recommend that you consult your health physician before beginning any aerobics program. Subscribe to Castle Rock Nia Fitness Studio updates in your favorite reader or via email. Nia can improve your golf game, tennis game or even make it easier to bend down to tie your shoes. Nia moves increase your range of motion and stabilize your spine. This article also explains the differences between yoga and Nia. Request a Coupon for a FREE class. Fill out the form and we'll send you a coupon for a free class. How did you originally hear about us? If you select "Web Search, would you mind telling us what you searched for? Thanks. The Founders of Nia were aerobic teachers in the 1980s but they noticed that their instructors and students were experiencing high rates of injury from the aerobic workouts so they decided there was a better way. After studying many different exercise routines, they developed "Nia." Learn more about the 13 Principles of Nia to see if their exercise philosophy makes sense to you. 6 days a week and Nia is a key part of that routine. I enjoy Nia because it offers variety to my exercise options and is the most fun of anything I do. The low impact aerobics of the routines allow me to participate despite an arthritic knee. I also enjoy the variety of music. I’m hoping the Nia classes in Castle Rock are able to expand their schedules and offer even more classes. I think I’m hooked on Nia for life!" Can Breathwork Really Reduce Stress? What were you searching for online? "When all I wanted to do was lie down, Nia was the inspiration to keep moving." Michelle Obama may have graced the cover of the May 2009 issue of Oprah Magazine but in the "bodywise" section, one woman spoke about her experience with Nia exercise classes telling readers how Nia helped her overcome the negative self image feelings brought on by her severe acne and even helped her overcome breast cancer. 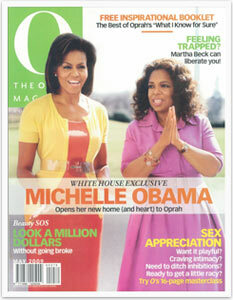 CLICK HERE to read this Nia article in Oprah Magazine.